Due to the outstanding contribution of 79 volunteers, 51,261 birds were recorded over three survey dates during the fall Columbia Wetlands Waterbird Survey (CWWS)! The highest single day count was recorded on October 15th, 2016 when 20,784 birds (75 species) were counted at 85 locations. This is an incredible accomplishment for our region and this effort is worth celebrating! Data will contribute to long-term conservation efforts in the Columbia Wetlands. The CWWS began in 2015. It is a five-year coordinated bird count where the major goal is to mobilize and coordinate citizen scientists to collect data that will be used for application to designate the Columbia Wetlands as an Important Bird Area (IBA). IBA is a global initiative with over 600 sites across Canada. For more information, or to sign up and participate in the spring waterbird surveys (April 2017), please contact Rachel at racheldarvill@gmail.com, or call 250-344-5530. 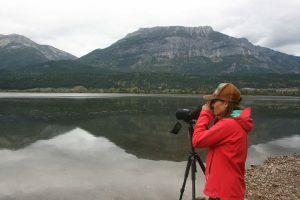 The Columbia Valley Waterbird Survey recently completed its third round of spring migratory bird surveys and together we were more successful than ever! Thanks to the amazing volunteer efforts of 83 citizen scientists, we were able to visit 100 different survey sites in the Columbia Wetlands located between Canal Flats, north to the Moberly River near Golden. Despite a late start to spring this year, we still managed to survey 26,627 birds! 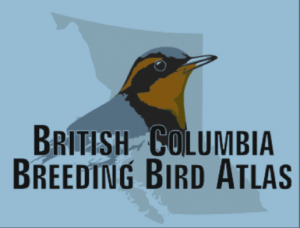 The British Columbia Breeding Bird Atlas partnership is proud to publish online one of the largest volunteer-based initiatives in British Columbia’s history, and a major new resource of conservation. This Atlas is the single most comprehensive, current information source on the status of Britis h Columbia’s breeding birds. More than 630,000 records of 320 species are included in the database, including more than 16,500 records of 75 species at risk. We believe it is also the most extensive bird atlas published anywhere online to date. The entire contents—maps, species accounts, graphs, tables, raw data, and more—are available to everyone free of charge. Click on the image to access the website.